Today we venture on our own. Geared with a métro map, we head for Montmartre. The Paris métro is complex but not anymore complicated to take than the MTR of Hong Kong. After all, with no fixed routes, no schedules, and reckless drivers, what can be more confusing than taking the Metro Manila jeepneys, alors? 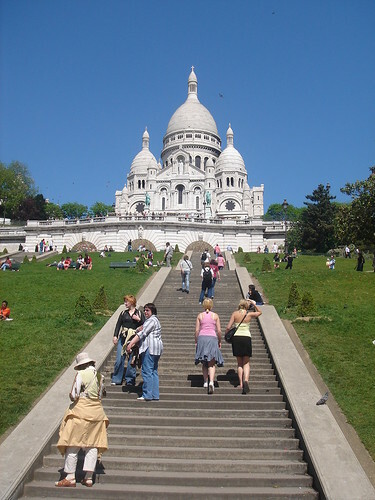 We went to see the church of Sacré Ceour that was located on top of the hill. I guess we still haven’t gotten our bearing of France yet, because It was wicked enough to climb the steep steps to see the church, and we had to do it twice! The church was grand and all, but you can read about it in different websites. hehe. 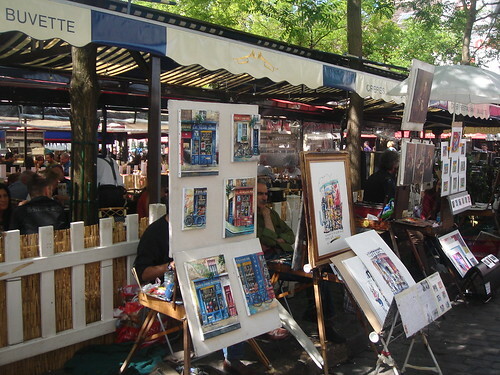 I wanted to see the street artists in Montmartre that I saw on the guide, but we didn’t know that it was just beside the church so we went down looking for it and then had to go up again. Seriously, it is worst than doing a back-2-back combat workout in fitness first! Ugf! Like all buildings in France, the Gallerie Lafayette is a grand old structure. This is probably the department store mom read in the paper where the Chinese tourists spend so much money in 1 afternoon. It really is full of tourists and so the prices are outrageous. Claire said the same bag she saw in Rome is like 20euro more in there. There’s an LV boutique inside and I went to check out Etui Serene for Lance’s mobile phone. It was super crowded in there, like there’s a sale or something. It is actually only here that I encountered a rude person and she’s not even French, but Chinese, and she’s not even stylish or pretty to have that air. She said I should wait because she’s attending to another customer when she is obviously not and was just chatting with a colleague. Anyway, LV is actually ridiculed as Japanese women’s gullibility and is not very popular among French. What we noticed while walking around Paris is that they’re not very big on convenience stores like in Manila, Hong Kong, or Japan where there’s 1 every 2 corners. We were so tired and actually quite thirsty and have been looking for 1 to buy water for the past 3 hours, with no luck. 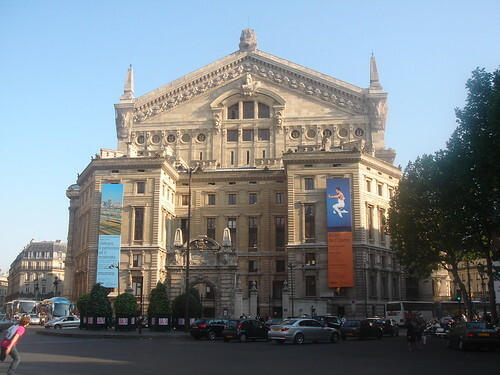 There are however cafés and thé salon every 2 steps. So we finally have to give in and sit in a café to treat our thirst. The best coke I’ve had ever, well, should be as it costs 4.5euro! 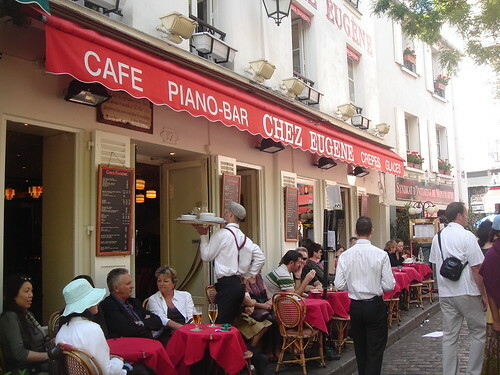 So like Parisians, we sat facing the street and watch people go by.